On this page you will get to see interviews I have done with some of the most successful investor’s in the country. We have podcast episodes covering just about ever exit strategy there is coming out here soon. Please support and follow our guests online on their social media for being generous enough to share their time with all of us. 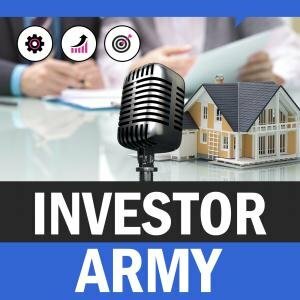 You can also watch these videos on our Youtube Channel Investor Army podcast. 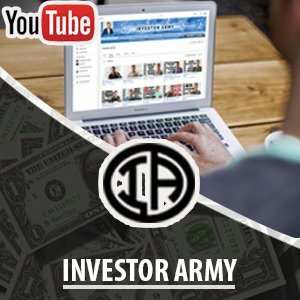 Make sure if you haven’t already go and subscribe to the channel as well as our main channel just called Investor Army. Episode #75 – Vance Wampler – R.V. Parks and Storage Units with HUGE CASH FLOW!!! New Superstar GUESTS coming in 2018… Who do you want??? Episode 21 – Holly McKhann – 200+ High End Southern California Rehabs and How She Does Did It!! Episode # 5 – Gavin Welch – Should I Get My Real Estate License??? Episode 4 – Brent Conrad – Hard Money Lending….You Need To Know This! !